I had so much fun this past weekend in Atlanta at the Georgia Association on Young Children conference. 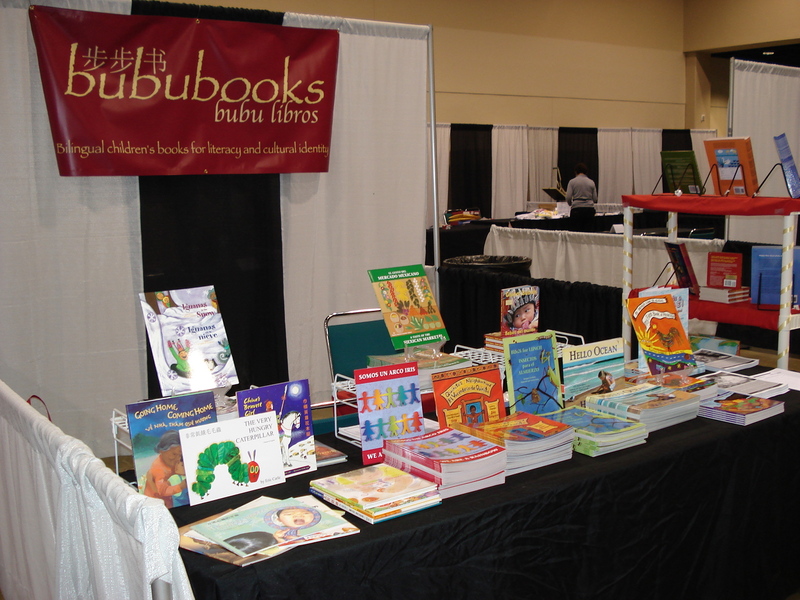 Not only did I enjoy meeting various childcare providers from throughout the state, but I also appreciated the enthusiastic response from them regarding our mission at bububooks to help bilingual children with literacy and cultural identity development. The Frog in the Well retells a Chinese idiom. Chinese idioms tend to be four characters long and paint a moral teaching. The frog that lives in a well believes the well encompasses the entire world and that he understands it better than anyone else. One day the frog meets a sea turtle that introduces the wide, deep ocean full of much more life than the well. From this experience, the frog realizes a world exists outside the well. New author Irene Tsai highlights the moral lesson that one should not be narrow-minded and, instead, be aware of the “ocean of knowledge for him to learn.” She does so in this beautifully and clearly illustrated book—by Pattie Caprio—that includes both traditional and simplified characters along with pinyin and zhuyin. Irene also succeeds in offering imagery for the life the frog is living, something that will certainly capture the attention and imagination of children. Indeed, The Frog in the Well has won the Reader Views 2009 Reviewers Choice Award and has received rave reviews that are copied below. The Frog in the Well is now available at www.bububooks.com. Check it out today! 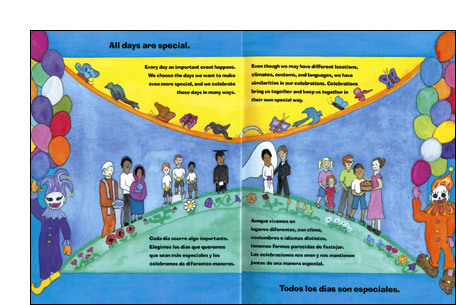 Below is an article taken from Colrín Colorado, a bilingual (Spanish and English) website for families and educators of English Language Learners. 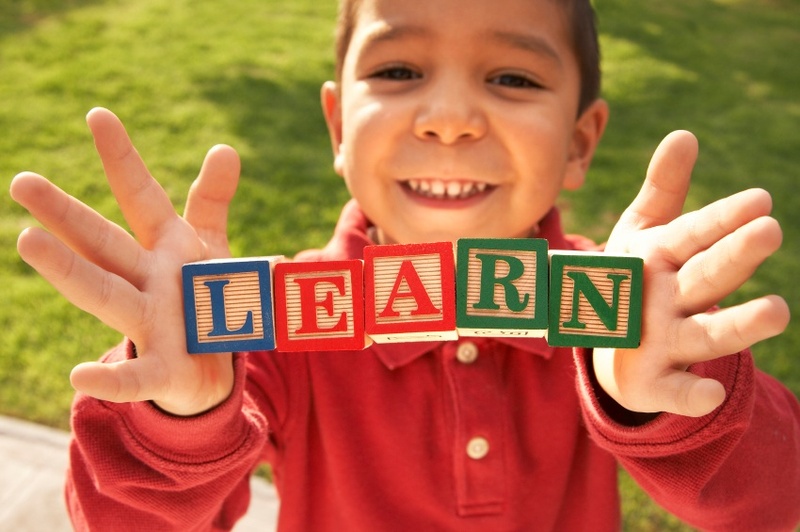 It offers five tips for helping your child continue to learn over the summer break. Scroll down for the English version. Enjoy! Existen estudios bien documentados sobre cuánto de lo ya aprendido pierden los niños durante el verano. Harris Cooper de la Universidad Duke observa que “en general, durante el verano los niños experimentan una pérdida promedio de lo aprendido en lectura y matemáticas que equivale a un mes de aprendizaje” (1996). La cuestión es que los niños no tienen por qué perder nada de lo aprendido durante el verano. En realidad, usted puede alentar a su hijo a disfrutar del verano y a aprender siguiendo estos cinco consejos gratuitos y sencillos. ¡Pruébelos! Lleve a sus hijos a la biblioteca con frecuencia y permítales que escojan sus propios libros. Escuchen libros en audio. Suscríbanse a una revista. Túrnense para leerle el uno al otro. Permítales a los niños quedarse despiertos hasta media hora más si es para leer. Practiquen las tablas de multiplicar aumentando 7 veces (o hasta 8 ó 9) el valor de cada punto en un juego de baloncesto. Pídales a los niños que pidan cambio en la ventanilla de autoservicio. Enséñeles a los niños cómo ingresar en www.coolmath.com en inglés) para jugar juegos de matemáticas. Invente problemas de matemáticas cuando viajan en automóvil o durante la cena. Busque opciones para que su hijo haga actividad durante 60 minutos por día. Sugiérale pasear el paseo del vecino, ir a nadar, jugar al badminton o al fútbol, salir a caminar o andar en bicicleta en familia. Busque formas seguras y divertidas de salir a jugar durante todo el año. Visite los sitios de Internet Los niños en su casa, PBS Padres, y los Centros para el Control y la Prevención de Enfermedades para consultar más ideas y información en español. Pídale a su hijo que les escriba una carta por semana a sus abuelos, parientes o amigos. Anímelo para que escriba un diario de verano. Pídale que escriba la lista de las compras para la familia. Organice un proyecto del amigo invisible por carta para adultos y niños en su iglesia o comunidad. Incentive a su hijo para que ayude a sus vecinos o amigos. Puede ofrecerse como voluntario de un grupo local o participar de un proyecto educativo de servicio. Sugiérale que reserve parte de su asignación para donarla. Miren juntos el sitio de Internet Big Help de Nickelodeon (en inglés) y el sitio de Parent Link Rhode Island (en español) para tener más ideas. Research about how much children lose ground over the summer is well documented. Harris Cooper of Duke University notes, “Overall, children experience an average summer learning loss across reading and mathematics of about one month” (1996). The thing is, though, kids don’t have to lose over the summer. In fact, you can encourage your child to have a summer of fun and learning with these five free and easy things to do. Try them out! Take your kids to the library often and let them choose which books to check out. Listen to books on tape. Subscribe them to a magazine. Take turns reading to each other. Allow your kids to stay up a half hour later at night as long as they’re reading. Find ways to ensure your child is active for 60 minutes each day. Have him or her walk the neighbor’s dog, go swimming, play badminton or soccer, take walks, or go for family bike rides. Look for safe, fun ways to play outside together year-round. Go to Family Corner Magazine and PBS Parents for more ideas. Ask your child to write a weekly letter to his or her grandparents, relatives, or friends. Encourage him to keep a summer journal. Have her write the family’s grocery list. Organize a secret pal writing project for adults and kids at your church or in your community. Students learn better and “act out” less when they engage in activities to aid in their social-emotional development, such as community service (The Collaborative for Academic Social and Emotional Learning, 2004). Encourage your child to help out neighbors or friends. He or she can volunteer with a local group or complete a service learning project. Suggest that your child set aside part of his allowance for charity. Look at Nickelodeon’s Big Help web site together for more ideas. “The old woman remembered a swan she had bought many years ago in Shanghai for a foolish sum. This bird, boasted the market vendor, was once a duck that stretched its neck in hopes of becoming a goose, and now look!—it is too beautiful to eat. This story moves me every time. The woman gave her daughter a better life in America than she could in China, yet something was also lost. When would the daughter be able to understand her mother’s intentions or even her mother’s story? Last week, I met up with a friend from undergrad. She and I are both half Korean, half white. We shared stories about our mothers’ backgrounds in Korea, how our parents met, the paths they traveled to get to the U.S., our mothers’ antics as well as when we finally began to understand some of those antics. I enjoyed our conversation and, of course, learned more about myself and my mother in the process. I am proud to be an American. I’m also proud to be an American of mixed heritage. I enjoy my life here and know I could not have had it any better in Korea. Sometimes, though, I wish I could speak to my mom’s family. I wish I could better understand where my mom is coming from, her point of view, her intentions. I know that will probably never happen. And I know that my future children will lose a lot of their Korean heritage as well. But what we can salvage will be worth it. Happy Fourth of July America! Ms. Cumpiano is a Puerto Rican poet and translator who lives in San Francisco. She has written nearly 20 children’s books and currently volunteers at a local kindergarten.